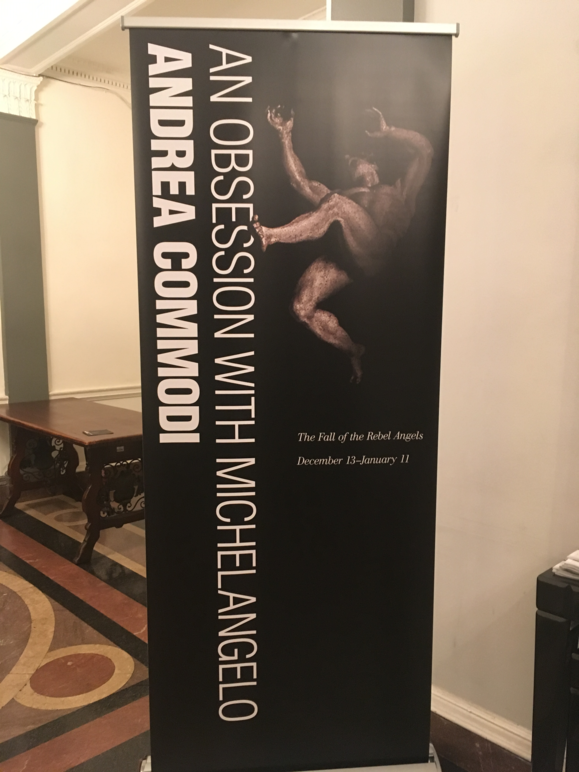 An Obsession with Michelangelo, The Fall of the Rebel Angels exhibit is now open at the Italian Cultural Institute in New York City. 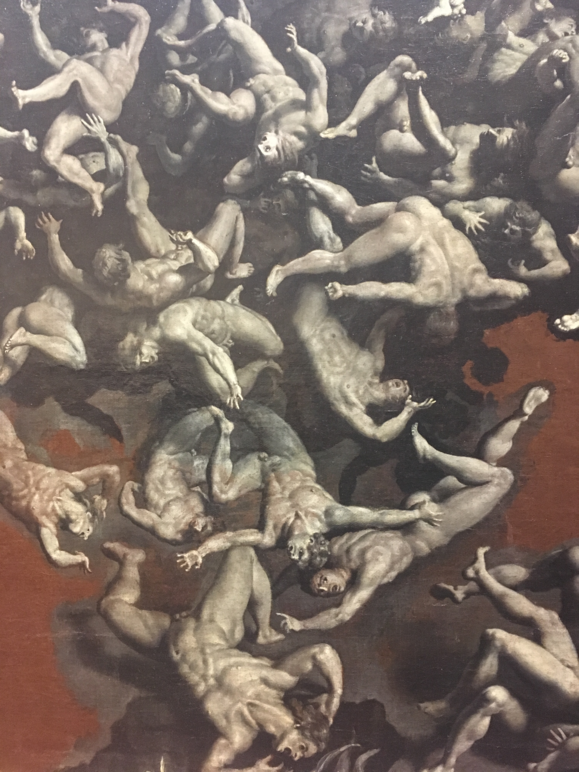 The exhibit showcases the widely overlooked copyist Andrea Commodi’s Study of the Fall of the Rebel Angels, a 5.6 x 6 oil painting, which was borrowed from the Galleria Palatina at Palazzo Pitti in Florence. 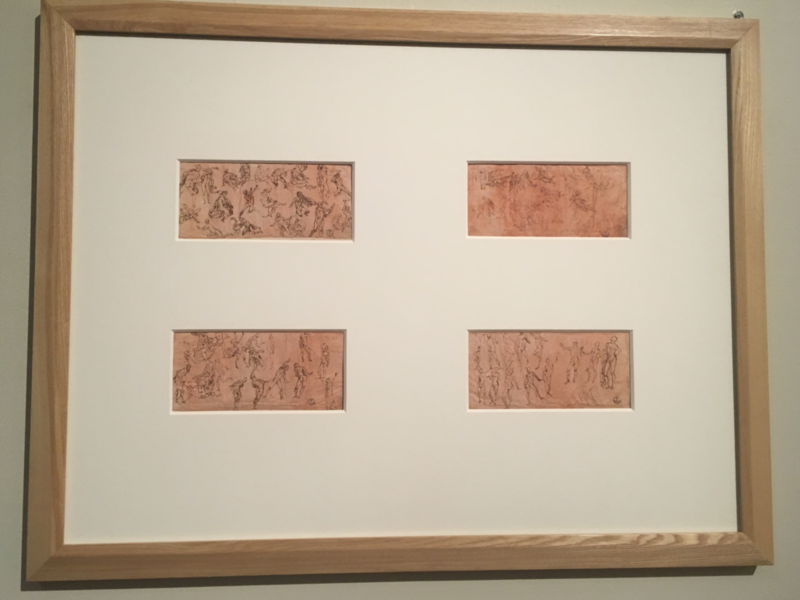 Along with the painting are four of Commodi’s sketches from the Uffizi’s Gabinetto Disegni e Stampe. The exhibit was curated by Elena Carrara. Andrea Commodi (1560-1638), an early Italian Baroque artist born in Florence, was a copyist and draftsman that was commissioned throughout Florence and Rome during his career. Although he was extremely innovative in his craft, he was also deeply inspired by Michelangelo. Andrea Commodi had exclusive access to many of Michelangelo’s sketches and drawings since he was familiar with the Buonarotti family. He was passionate about the famed artist’s work, so he copied and studied them religiously. Michelangelo’s influence is very apparent in Commodi’s work, and it is clear that Michelangelo’s fresco, The Last Judgement in the Sistine Chapel, had a profound effect on Commodi and his work. The curator Elena Carrara explains that “he [Commodi] was commissioned by Pope Paul V (1550-1621) to decorate the chapel of his palace (today the Quirinal Palace) with a program to rival Michelangelo’s Last Judgement in the Sistine Chapel, Commodi had the unique opportunity to measure himself against the master,” although the project never came to fruition. 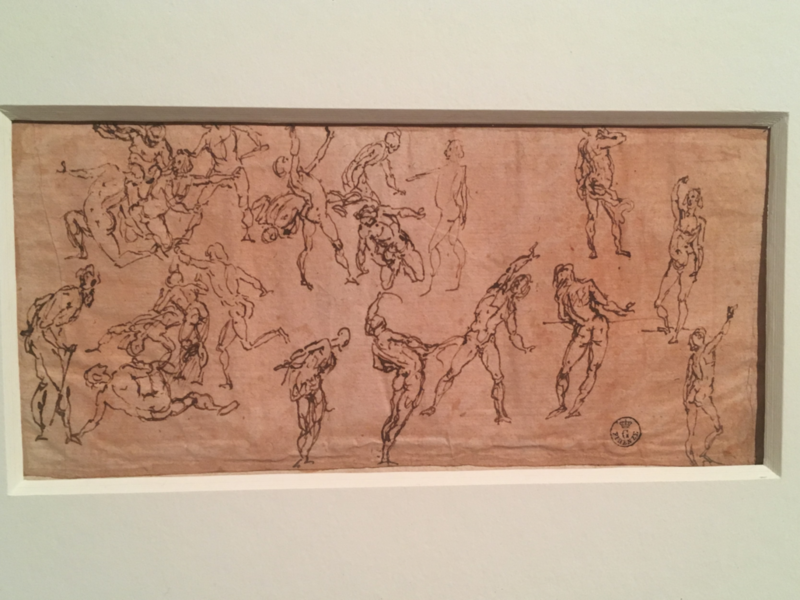 From the sketches on display at the exhibit, it is apparent that Commodi practiced the art of replicating the human body and its movement for his figures to master the effortless style of Michelangelo. His drawings reflect on the techniques he put to use in the painting. Every position is very specific and intentional creating movement that is suspended in a single moment. 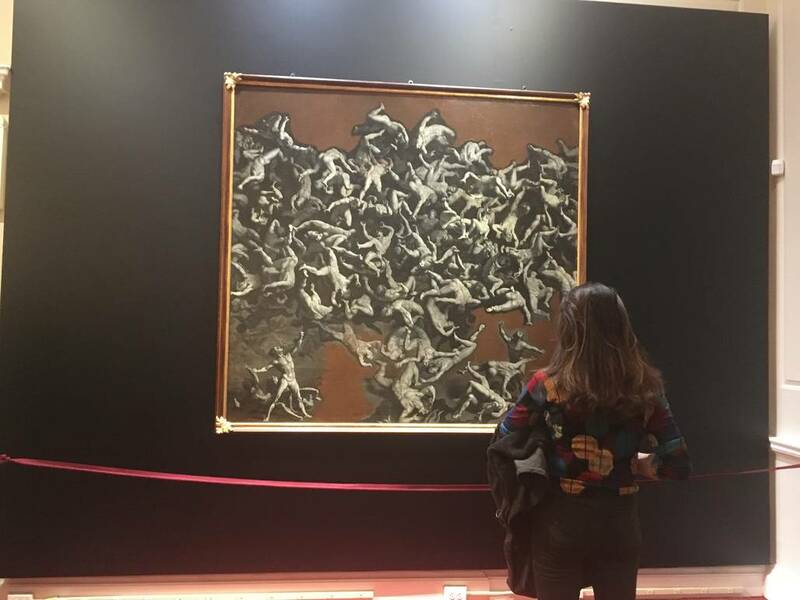 Commodi also made the unconventional choice to use only monochrome colors which adds to the morbidity and drama of the piece. The theme of fallen angels relates back to the Bible’s Book of Revelation where there is a war in heaven. The angels who side with the devil are defeated, banished from heaven, and consequently are thrown down to Earth. 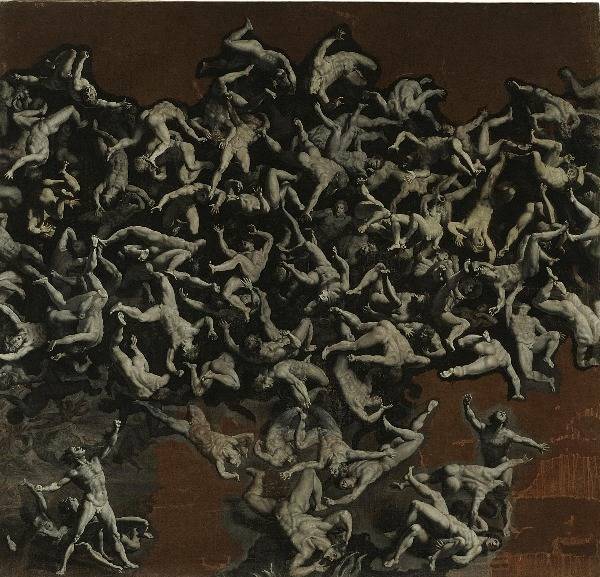 In Commodi’s work, these rebel angels are descending from heaven. The anguish of defeat and fear remain on their faces as they experience the eternal fall. The exhibit will be on view until January, 11 2018, and will be open Monday through Friday from 10am to 5pm. The exhibit will be closed on Dec. 25 - 26, 2017 and Jan. 1, 2018.